Austin, Texas is a nice place to live. There are nice parks. There are many outdoor activities. There are fine arts. And on, and on, and on. There is something lacking in Austin that I have back home. There is no short drive anywhere. Every trip to Wal-Mart, HEB, or whatever store takes a long time. Take, for instance, going for groceries. In Mission, where I live, there are two HEBs, one on Business 83 and Conway and up the street on Griffin Pkwy. South of one is a Foys Supermarket, north of the other is a Wal-Mart SuperCenter. In McAllen, there are three HEBs on 10th St. They also have Wal-Marts on Trenton and Nolana. My point is, groceries are not an issue in my part of the RGV. Here in Austin, it's a major battle to make your way to the grocery store. Even with all the advantages of "the big city", there are certain inconveniences that just drive me nuts. 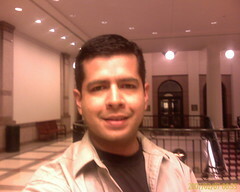 I look forward to returning to the Rio Grande Valley. It depends on what part of town you are living in here in Austin. I live NW, and have three HEB's within a 5 mile radius, plus 2 wal marts and 1 super Target. Where are you at? Close to MLK and Airport. MLK and Airport...well that is kind of way out there. It would be similar to living in La Joya and having to drive 10-15 min. to the nearest Wal-Mart or HEB. So in that sense, it is not much different than the valley after all. I personally have fallen in love with the Central Texas area and don't know if I will ever return to the valley. Maybe once things clean up in my hometown will I even consider the move back.